When you think of Walt Disney World do you think of roller coasters? You should. Walt Disney World has some of the BEST roller coaster and thrill rides anywhere. Come see this month’s Coasters & Thrills issue and take a look at Thrill rides for all ages! What are the best Coasters and Thrill rides at Walt Disney World? That’s a really fun question. 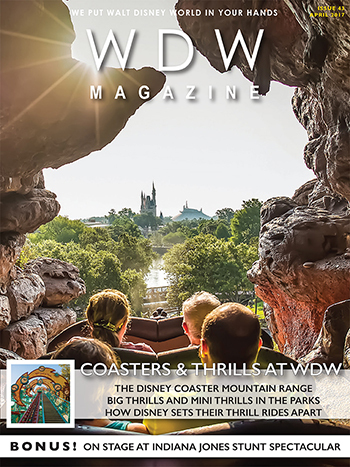 So this month we take a look at the thrill rides at Walt Disney World. We start off with a look at The Mountain Range at WDW then we talk about Thrills for the Whole Family. Oh, and then there’s the Big Thrills and speaking of thrills, take a look at Cinderella Castle throughout the day. WOW! Are you a first time visitor to WDW? Come check out our First Timers Corner where we look at all you need to know about the Trill Rides at WDW. Then we talk about if it makes sense to splurge on the single tickets special events at WDW. Oh, and how about some common sense tips about dealing with the all the thrills. 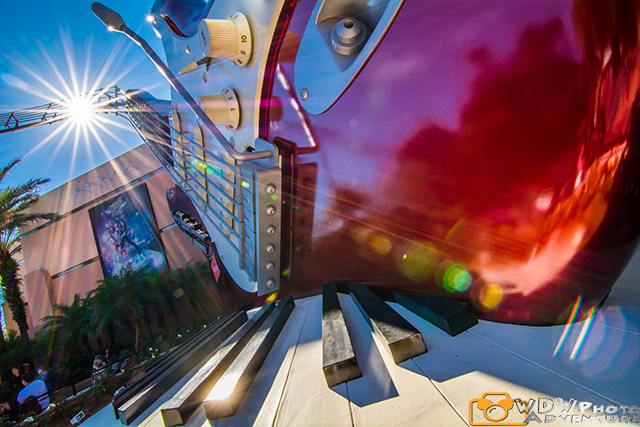 Each month we bring you the Best of Walt Disney World and this month we have a great lineup. 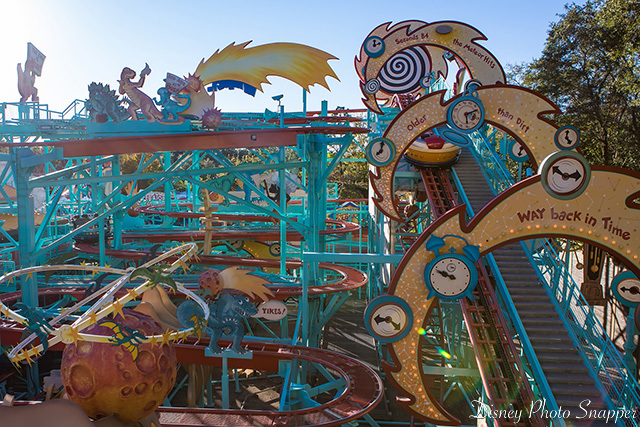 It wall starts with Primeval Whirl, a cool little thrill ride in Animal Kingdom. Then we has over to Port Orleans Riverside and relax a little. The Backlot Express in Disney’s Hollywood Studios is the restaurant of the month and Rock Around the Shop outside of Rock ‘n’ Roller Coaster is the gift ship this month. Section k! is our kids section. 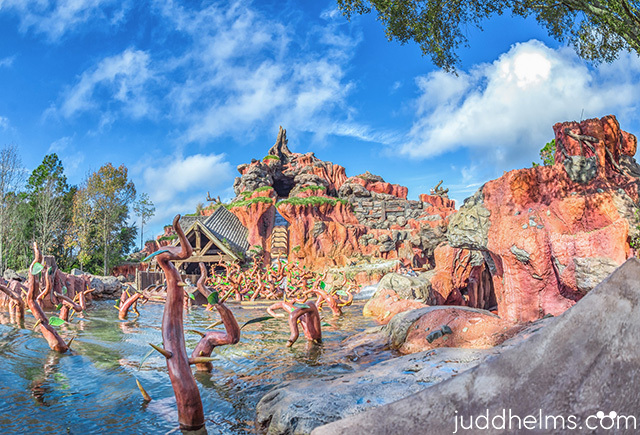 This month our Wally D finds out all about Big Thunder Mountain Railroad. We have a list of how tall you have to be for each attraction and our monthly games and puzzles. What’s the best thrill ride at WDW? Which park is the most thrilling? What’s your favorite mountain? What’s the best thrill ride for kids? Those are the questions we asked our readers this month. What’s your answer? In our recipe we show you how to make those yummy pretzels you find in Germany. 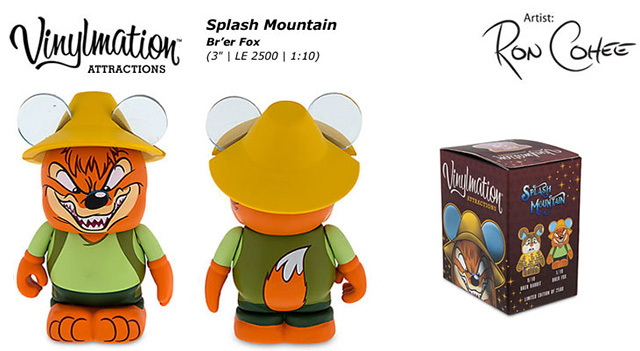 Then we have some cool thrill ride Vinylmations and Tsum Tsum’s. 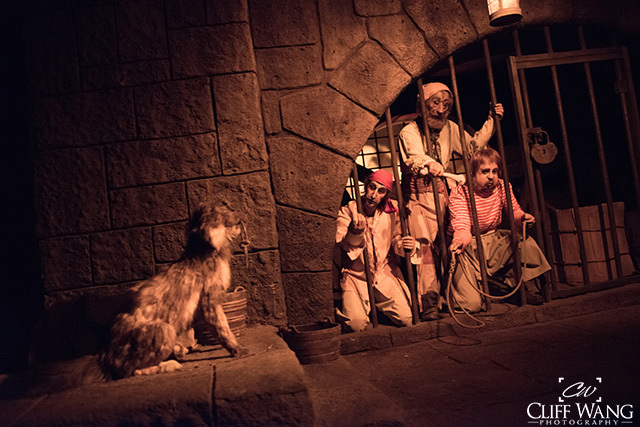 Have you ever had an opportunity to be an “extra” in one of the shows at Walt Disney World. 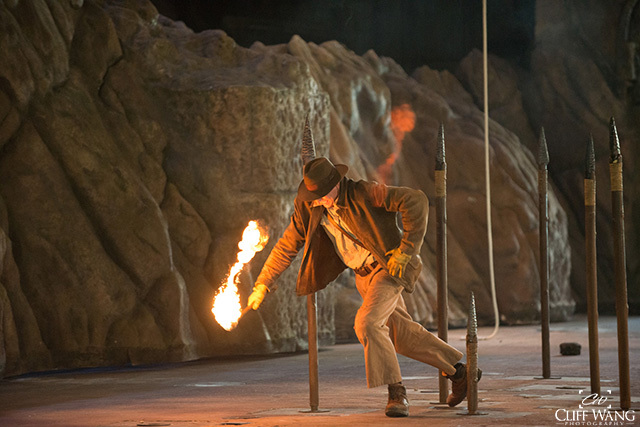 This month we interview one of the “extras” from the Indiana Jones Epic Stunt Spectacular. Get a behind the scenes look at what happens after you get picked. Some of the best pictures ever are taken on rides. 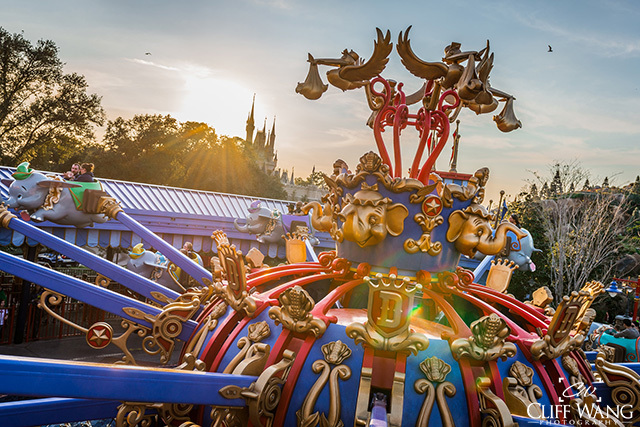 In a Special Report, one of our photographers, Cliff Wang takes us on several rides and shares The Magic of On-Ride Photography. Did you know that you get more G-forces on the launch of Rock ‘n’ Roller coaster than the astronauts did in the launch of a Space Shuttle? How cool is that? That’s just one of the fun facts you’ll find in the Did you know article. We also cover The News from Walt Disney World and all around Disney. This month we look at the Trash Cans at WDW. Pretty cool and in Disney that Never Was a second gate at Disneyland. That’s it. Time to go experience the Coasters & Thrills at WDW!